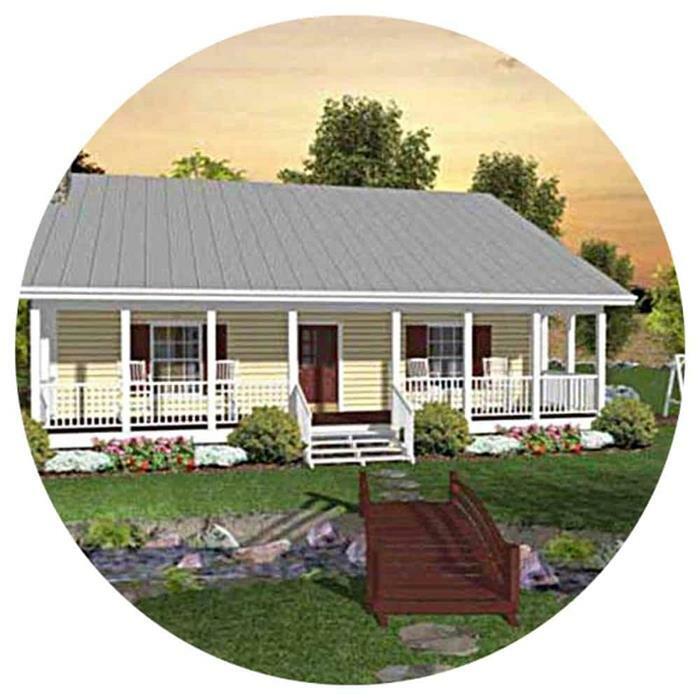 Small House Plans Offer Less Clutter and Expense – And with Good Design, Small Homes Provide Comfort and Style. During a recent trip to New York City, one of my friends invited a few of us to her “mini-home” – a large studio with a wonderful layout and great views; and furnished to enhance the available space. Like a growing number of people who have downsized in recent years, moving from bigger apartments to smaller ones or from large “McMansions” to small houses, she adjusted and organized accordingly. But what made her move ultimately a true success: the net impact of her adjustments was a beautiful, well designed, less expensive, and happier home. Big and extravagant homes might be beautiful to admire from afar, but how many homeowners really want the big mortgage payments plus spend their nights and weekends maintaining them – or incur huge expenses to have others do so for them? Below I explore some of the advantages and comforts offered by a smaller home floor plan as well as my “Top 5 Tips” to enhance your smaller space design. First of all, let’s remember that Americans have not always lived or desired to live in large, lavish homes. Sure, we have visited or read about Hearst Castle in California or the Vanderbilt family’s Breakers mansion in Newport, Rhode Island. But in fact, in the early to mid-1900s, the average American home hovered between 800 to 980 square feet. While much of this was driven by economic necessity, it was the norm for a family to have one bathroom for everyone’s use; and very common for siblings to share a bedroom. 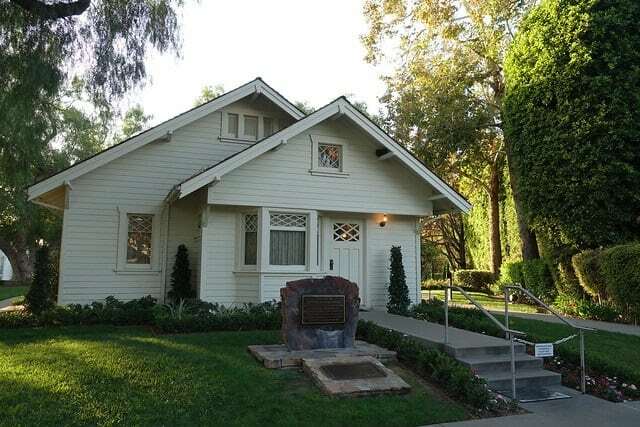 Small Homes (Circa 1913 and Today): Above is the small house / cottage in Yorba Linda, CA that was the birthplace home of President Richard Nixon - restored to how it looked in circa 1913. Below, a similar home today also has two bedrooms, one-bath, with a full size kitchen, living/dining areas and a rear patio - but with an attached garage. With the dire economic times during the Depression, World War II and the postwar period, low-cost housing was the answer to the overwhelming need. The U.S. government collaborated with builders, architects, engineers, designers and financial institutions to facilitate the construction of single family homes – mostly bungalows and cottages - that were affordable, well-designed, and attractive to young families. The G.I. bill also provided servicemen with low-interest, no-down payment home loans that enabled them to buy or build homes in suburban areas. It was also during this period that American architects broke away from the more elaborate and intricate house designs that were typical of the Europeans. Simplicity was the standard. 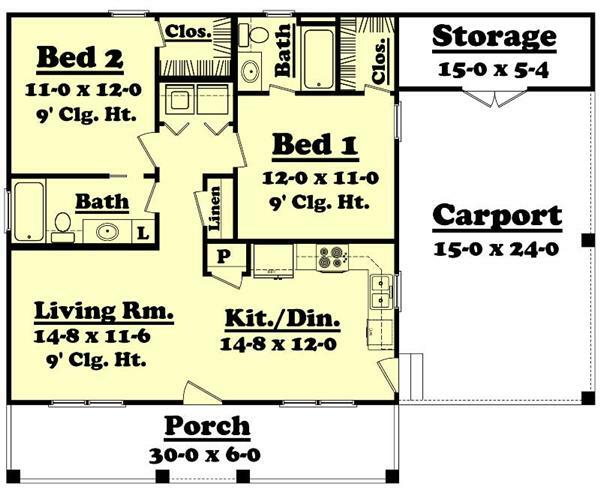 So even with the Post World War II economic boom, architects continued to design and build two-bedroom, one-bath homes for families – with the option for expansion. During the ‘60s and ‘70s, houses expanded to 1200-1500 square feet – slowly rendering the two-to-three bedroom units a bit obsolete. 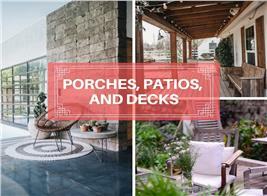 A burgeoning middle class with buying power dictated the trends toward bigger and more. By 2004, houses in the U.S. were doubling and tripling in size – steadily moving away from the simple, low-mortgage home to enormous luxury estates built on huge acreage to accommodate creature comforts and conveniences. 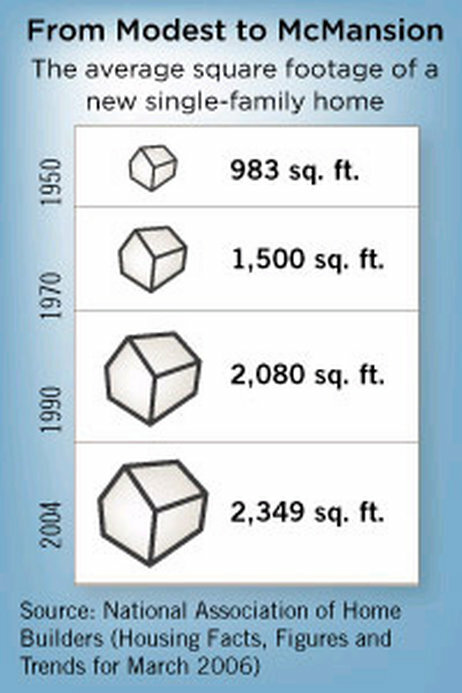 In this graph to the left from 2006, the National Association of Home Builders (NAHB) tracks thejump in square footage from 1950 through 2004. Up to 2006, when the housing market was at its peak, homeowners continued to buy and build big. Again the government and financial institutions helped in the housing boom – lulling everyone into complacency and a false security. “Flipping” houses became a common practice because of the favorable market conditions. The inevitable crash came in 2007… and with it, devalued properties, debts, and foreclosures on mansions and estates. Above: As homeowners missed their mortgage payments, losses mounted and threw financial markets in disarray. 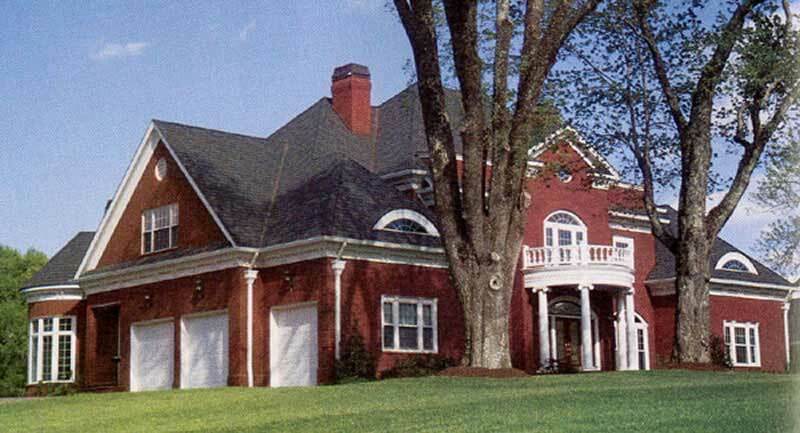 The three-story 11,000-square foot mansion in Maryland - built on more than three acres – has a wine cellar, English garden, gym, music room and other luxuries. After the 2007 housing market collapse, people awakened to a new reality: the burden of high mortgages, the desire to get rid of excesses, to protecting and preserving the planet and the environment; and going green. 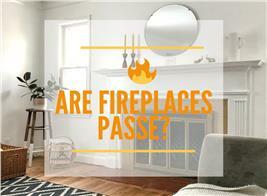 Majority of homeowners saw their property decrease in value while maintenance costs increased. Not to mention the burden of a large mortgage. It was time to reflect and choose another path. That of living small. Incredibly, the return to small house designs intrigued a number of “big house” owners who easily embraced it. Downsizing became less absurd when the realization set in that in the current environment “less was more.” Huge properties were tied to equally large mortgages, hefty costs for maintenance, repair, energy, and cleaning. 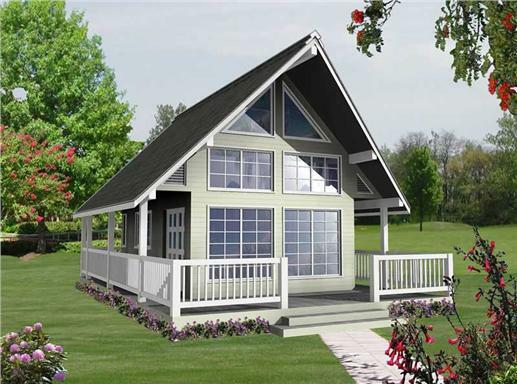 Why build big when there were affordable, stylish, less expensive smaller homes? Besides, the lower mortgage gave families more funds to spend on vacations and weekend trips. The smaller the house, the less furniture; therefore, less space to clean and maintain. Overall, small homes reduce heating, cooling and other household expenses. Remember when having your own room meant privacy, not isolation? Imagine families who used to live in four-story homes with seven or eight bedrooms, palatial grounds, separate wings for intimate and lavish gatherings - all the amenities and trappings of luxury. Living in the space, yet rarely seeing each other. That sad and deplorable situation changed with the small home. There is something to be said about a small home being cozier and friendlier. Instead of isolating members of families, the home pulls them together and puts them in more contact with each other. The home becomes a more interactive and social environment. Keep in mind that you can make your home more spacious, by organizing and decorating creatively. Choose light furniture – not heavy sofas. How about a futon with colorful cushions? Push everything to the walls to create open spaces for play and recreation – especially if you have children. Stack shelves in closets for household items. Use soft, light tones when painting walls. Use blinds instead of heavy curtains. If your kids share bedrooms, go for bunk beds – that go single (top bunk), double (middle) and pull out trundle to make room for play areas and dressers –pushed against the walls. With less clutter and economic burdens, small houses are not only liberating. They can also be very comfortable and stylish. And it’s really quite amazing what one can do with smaller living quarters. So, who says living small is shabby? 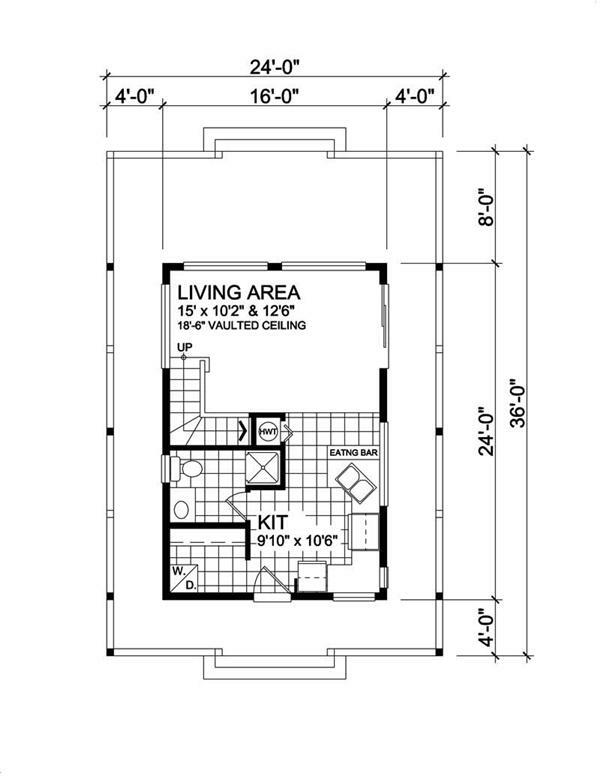 See what you can get with some creatively and attractively designed small homes – ranging in size from 580 square feet to 950 square feet. 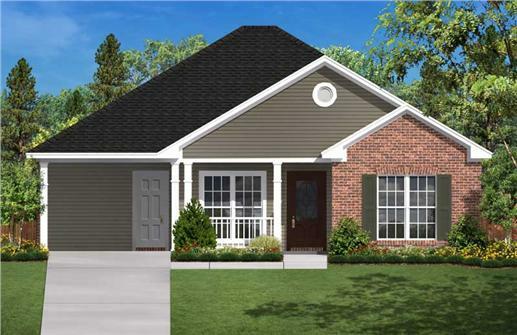 With 780 square feet, this home (below) has two bedrooms, one bath, an open floor plan for the kitchen, dining, and living room areas. 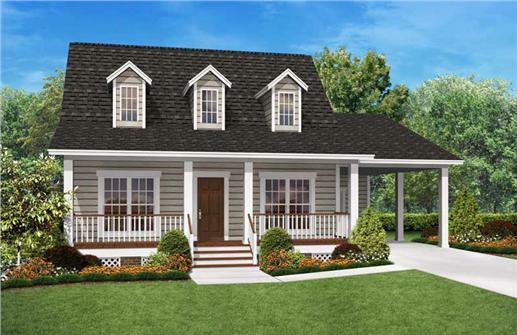 Below: The floor plan for a 900-square-foot country home. 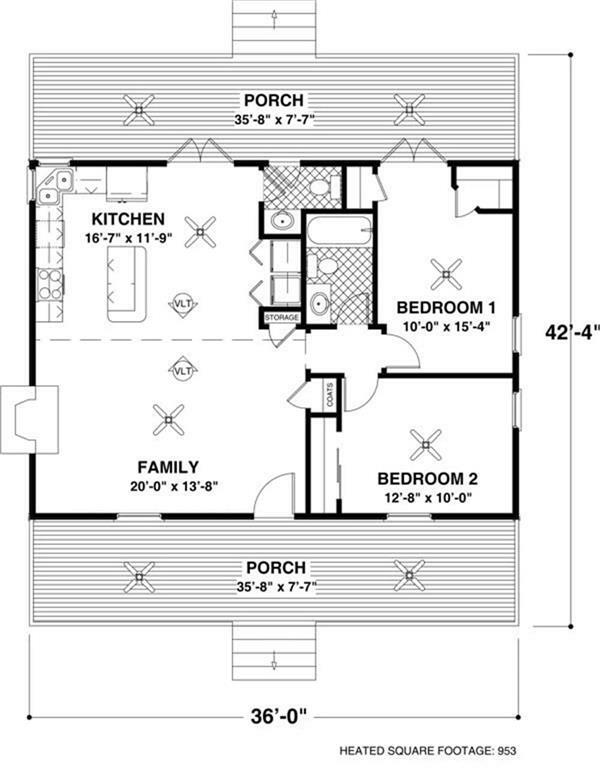 Bottom: a porch which opens to the living room/kitchen/dining space, two bedrooms, bath, carport and storage area. Below: Check out the inviting porch on the lovely ranch house. 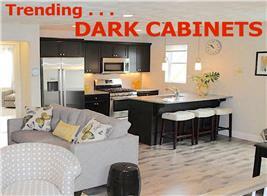 The 953 square feet accommodate two bedrooms, one-and-a-half baths, family room, fireplace and open floor plan. Want to live smaller? Try this 582-square-foot home designed to allow plenty of natural light (below). The wrap-around porch adds to the charm. Inside is the living/sleeping area, kitchen and bath. 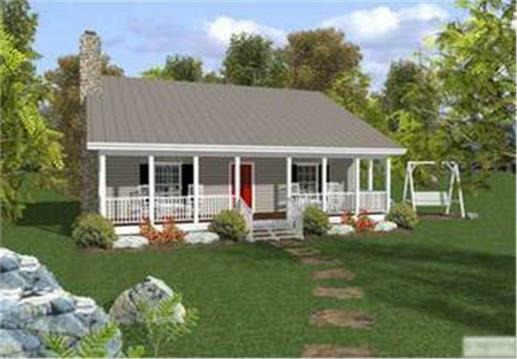 Note: The home in the lead image is a 2-bedroom, 1.5 bath small house with 953 square feet (Plan #109-1006).